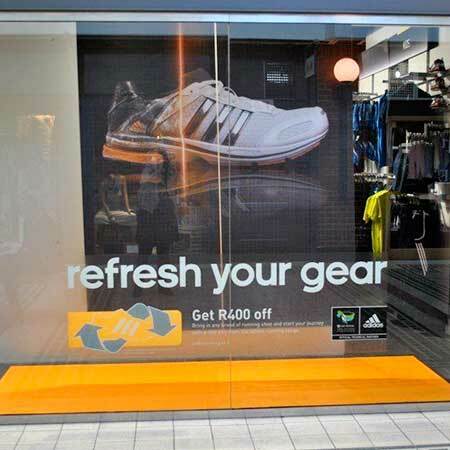 CID helped to bring an innovative interactive digital concept to life in conjunction with in-store branding for the adidas Refresh Your Gear campaign.The concept behind the interactive component of the store was to animate a laser ‘scan-line’ used in the print campaign. 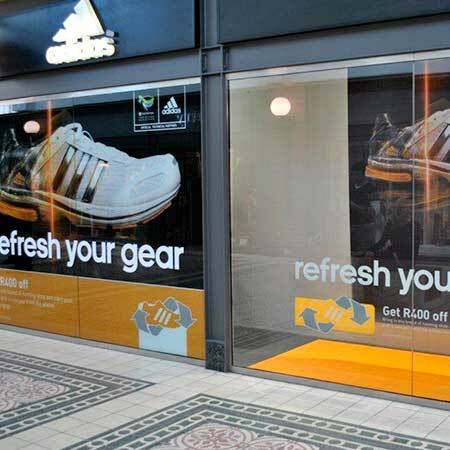 4 stores nationally (V&A Waterfront, Canal Walk, Gateway and Sandton City) were equipped with custom-designed short-throw projector plinths combining with motion-sensing cameras and holographic window film, to project the visuals of the shoe. 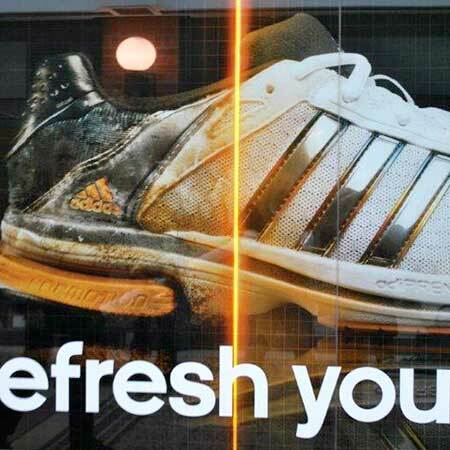 When a shopper walked past the window, this activated the animated scanline which would follow the direction of the person walking, revealing the new shoe, and directly engaging the customer in a subtle but effective manner.The second part of CID’s involvement in the campaign was to install custom built, orange LED strips behind the printed window vinyls – these LED strips lined up with the laser scan line on the print and created an illuminated effect on the print.